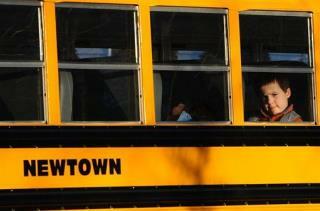 (Newser) – Starting Feb. 18, PBS will devote a week of shows to the Newtown shooting, it has announced. The "After Newtown" series will include the programs Frontline, Nova, PBS NewsHour, and Washington Week With Gwen Ifill. "PBS is not where you go for breaking news," says the station's head, Paula Kerger. "Where we can add to the conversation is to step back ... and say: 'OK, where are the big issues and where does this take us?'"